News Events Registration Contact Us Today! Amy Fote began dancing at the age of four in her hometown of Manitowoc, WI under the direction of Jean Wolfmeyer. She continued her studies on scholarship at the National Academy of Arts, Interlochen Arts Academy and at the Harid Conservatory in Boca Raton, FL , where she graduated with honors. Immediately following her senior year, Ms. Fote accepted a position in the Milwaukee Ballet trainee program and entered into the company the following season. She rose through the ranks to become a principal dancer and performed with the company for 14 years. During her tenure in Milwaukee, she was regularly invited to perform at the famed Chautauqua Institution, Chautauqua, NY where she was coached and encouraged by NYCB luminaries, Jean Pierre Bonnefoux, Patricia McBride and Violette Verdy. In 2004, she was invited to dance the title role in Stanton Welch's 'Madame Butterfly' for the Royal New Zealand Ballet's two month tour. The following season she accepted Mr. Welch's invitation and joined Houston Ballet where she held a principal position and danced for eight seasons. Ms. Fote retired in 2013 after a twenty-two year career in dance and was graciously honored in Houston Ballet's Jubilee of Dance gala celebration. She was again invited to dance Hana in ’The Merry Widow’ with Houston Ballet the following season before accepting a Ballet Master position with Ballet San Antonio from 2014-2016. In 2003, she was featured in a PBS documentary entitled 'Dancing Anna Karenina', focusing on her portrayal of one of the great heroines of Russian literature. She was also featured on PBS, performing Alonzo King's 'Map', in a moving 9/11 performance. 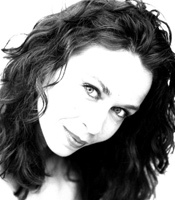 Ms. Fote's classical repertoire includes principal roles in 'Swan Lake', 'Romeo and Juliet', 'Sleeping Beauty', 'Giselle', 'Don Quixote', 'Taming of the Shrew', 'Onegin', 'Manon, 'The Merry Widow', 'Cinderella', 'Carmen', 'Scheherazade', 'La Fille Mal Gardé', 'The Nutcracker' and 'Coppelia'. She has also performed works by Juri Kylian, William Forseythe, George Balanchine, August Bournonville, Choo San Gogh, Jerome Robbins, Christopher Wheeldon, Sir Antohony Tudor, Sir Kenneth MacMillian, Twyla Tharp, Glen Tetley, Mark Morris, Christopher Bruce and Hans van Mannen, among others. Mr. Tchoupakov was born and raised in Moscow Russia and graduated from the acclaimed Bolshoi Ballet Academy. Mikhail danced as a soloist and principal dancer with many renowned companies including the Bolshoi Ballet Theatre for 9 years, Sarasota Ballet of Florida, Vienna State Opera Ballet, Los Angeles Classical Ballet, Colorado Ballet, and State Street Ballet. In addition to an extensive career as a performing artist, Mr. Tchoupakov also has almost 30 years of experience teaching Classical Ballet. He has taught for schools such as the Bolshoi Ballet Academy, the Royal Ballet School, and Salt Lake City Ballet, was a principal teacher for Elmhurst School for Dance, and also served as Ballet Master and Repetiteur for the Colorado Ballet and State Street Ballet. Mr. Tchoupakov is a resident Master Teacher with Youth America Grand Prix and is currently on faculty with the University of North Carolina School of the Arts. Mr. Tchoupakov holds an M.F.A in Dance Pedagogy and Choreography from Moscow State Academy, a B.S. in Political Science from Moscow State University of Marxism, and a B.A. in Dance Performance with the Bolshoi Ballet Academy. 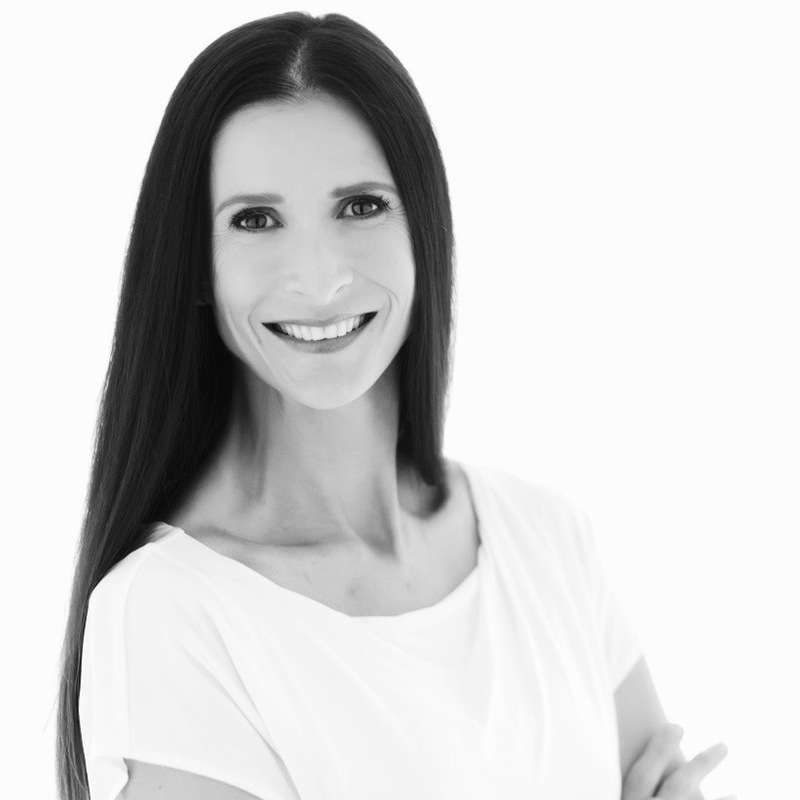 Sally Rojas Herrera is a respected ballet educator and currently instructs the upper level school with the Houston Ballet Ben Stevenson Academy. She also teaches at West University Dance Centre in Houston, TX. Born in Caracas, Venezuela, Sally moved to Miami, Florida when she was ten and trained with Thomas Annour, Robert Pike, and Judith Reese Newman at the Miami Conservatory. She went on to study at the School of American Ballet and American Ballet Theatre, becoming a member of American Ballet Theatre II at the age of sixteen. Ms. Rojas later joined the Houston Ballet Company and, as a soloist, danced the principal roles in Ben Stevenson’s The Nutcracker, Swan Lake, The Sleeping Beauty, The Snow Maiden, Peer Gynt, Cleopatra, and Dracula; Sir Kenneth MacMillan’s Manon, Song of the Earth, Gloria, and Elite Syncopations; and Ronald Hynd’s The Merry Widow. Ms. Rojas also danced leading roles in Stanton Welch’s Indigo, Garden of Mirth, and Bruiser; Ben Stevenson’s Miraculous Mandarin, Four Last Songs, Dusk, and Bartok Concerto; George Balanchine’s Serenade, Agon, La Valse, and Four Temperaments; William Forsythe’s In the Middle, Somewhat Elevated; Nacho Duato’s Without Words; Jiri Kylian’s Sinfonietta; Trey McIntire’s Second Before the Ground and Peter Pan; Christopher Bruce’s Ghost Dances, Rooster, Sargeant Early’s Dream, Land, and Cruel Garden; and John Selya’s Ingredients. Since her retirement in 2004, Ms. Rojas has taught master classes for the Regional Dance America Southwest Festival, Southern Methodist University, and the Walton Arts Center in Fayetteville, Arkansas. Sally Rojas has also served as an adjudicator for the Children’s Foundation for the Arts and Sam Houston State University. Ms. Rojas was involved in a three-year project that included traveling to Guatemala to hold workshops for teachers and master classes for dancers. Mr. Mosalenko is a former dancer with the Bolshoi Ballet and has more than 20 years of teaching experience in classical ballet, technique, pointe technique, men’s ballet technique, variations, pas de deux, contemporary dance, character dance, and choreography. He is committed to delivering excellence in dance training and education through the Russian Vaganova Method while also adapting to each student’s individual needs and abilities. He has a proven record in advising and guiding students through career options and choices, and has mentored students who have continued their dance training at colleges, universities, and professional companies. Mr. Moskalenko currently serves as the Director of Day Program and as Master Teacher and Coach Indiana Ballet Conservatory. Mr. Moskalenko also holds the distinct honor of being the New York Director of Rehearsals, Master Teacher, Judge, and Tour Director for the world’s largest ballet scholarship competition – the Youth America Grand Prix. Natalia Bashkatova was born in Russia and trained at the prestigious Bolshoi Ballet Academy in Moscow and Bolshoi Ballet University. She became a principal dancer with the Bolshoi Theater Grigorovich Ballet from 1989-1994 and in 1994 she became a guest principal dancer with the New York City Ballet. Her repertoire included many title roles in the great classics including "Aurora" in Sleeping Beauty, "Kitri" in Don Quixote, "Swanhilda" in Coppelia, and "Odette/Odile" in Swan Lake among many others. Natalia received the award for "Best Ballerina of the Festival" at the 1992 Spoleto International Arts Festival held in Spoleto, Italy and has toured worldwide to countries including Greece, Egypt, China, France, Belgium, and Japan among many others. After moving to the United States, Natalia joined the Cirque du Soleil in Las Vegas as the lead dancer in Mystere. In 1998, she moved to Orlando to show in Cirque du Soleil's "La Nouba" where she currently still performs. Ms. Bashkatova has been featured in numerous television commercials, interviews, and videos with Cirque du Soleil and continues to work in the entertainment industry. Natalia is also the founder of ARTASTAR, a management and production company based out of Florida. Carlos dos Santos, Jr. is a recognized dancer, choreographer and teacher. He has performed as a principal dancer with major Brazilian and U.S. dance companies, including the Alvin Ailey Repertory Ensemble, Complexions, Cleo Parker Robinson Dance Ensemble (US); Grupo Salto, Bale Folclorico da Bahia, Bale Teatro Castro Alves, and DanceBrazil (Brazil), where he also served as a rehearsal director. Mr. Dos Santos' choreographic credits include works for Colorado Ballet, the Alvin Ailey American Dance Center, American Dance Festival, Cleo Parker Robinson Dance and DanceBrazil, as well as his own solo performances around the world. Mr. Dos Santos has been featured in numerous TV programs as an actor, dancer and model. His TV credits include appearances on PBS (US) and SBT TV (major Brazilian TV network), as well as coverage as a performer and choreographer in news programs around the world. His acting career included Medea Materialis for the New York Fringe Festival, Dream on Monkey Mountain with the Denter Center Theater Company, Chaplin with the Edison Souto Theatre Group, Dona Flor and Her Two Husbands with the Fernando Guerreiro Theatre Group, and Yalorixa, a popular Brazilian soap-opera. Grand Prix Ballet and Contemporary Dance Competition for Students, as well as master classes in the U.S., Italy, Switzerland, Egypt, Israel, Turkey, Chekh Republic, Argentina, and Brazil. Katrina Blose began studying dance at a young age in Northern Illinois, where she trained at Rockford Dance Company (Vaganova Technique), Metropolitan Ballet (Cecchetti Method), Northern Illinois University (French and American Classical Techniques), and Forest Hills (Competitive Jazz, Lyrical, and Contemporary). She then relocated to North Carolina to attend the University of North Carolina School of the Arts. Katrina later moved to New York where she danced with the prestigious Joffrey Ballet School and soon after began a freelance dance career that led her to Europe. Following her return to the United States, Katrina worked as a guest artist up and down the East Coast, soon finding a home at Columbia City Ballet.